My work involves a variety of techniques and media, from making my own fabrics, painting fabric and making sculptural forms. I am inspired by trees, their powerful presence, the patterns formed in their bark and the patterns formed by their branches. I am influenced by the Celtic mythology of trees. 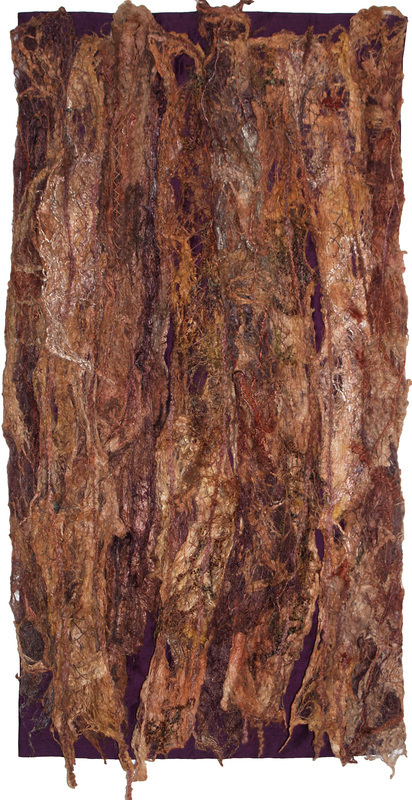 This quilt was inspired by the yew tree, with its purplish-brown bark, and its deeply fissured and fluted trunks.The yew represents direct contact with our past and the wisdom we find deep within ourselves. Silks. Twin needling and free machining. Hand stitchery.